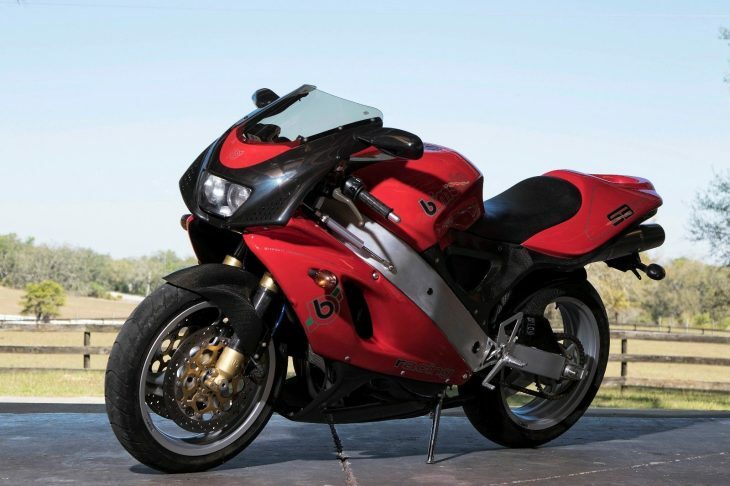 Featured Listing – 2007 MV Agusta F4 Senna with 85 Miles ! 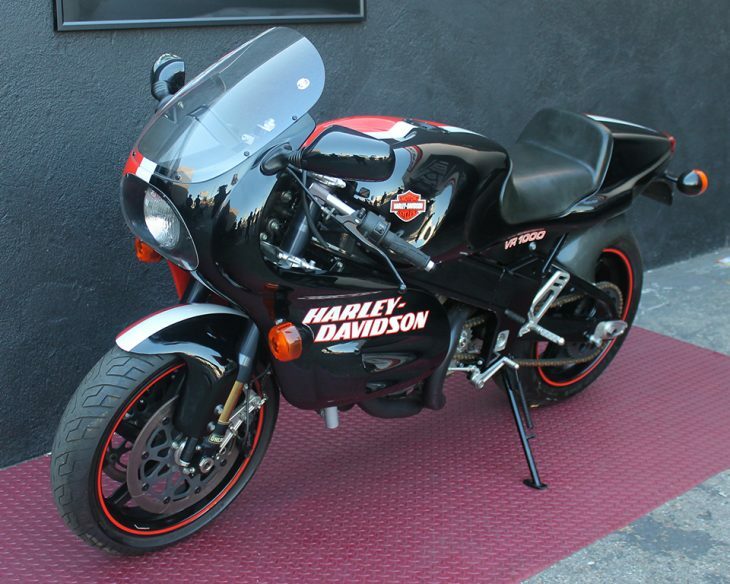 Sponsored Listing: Zero-mile, 1-of-25 road-going 1994 Harley-Davidson VR1000! 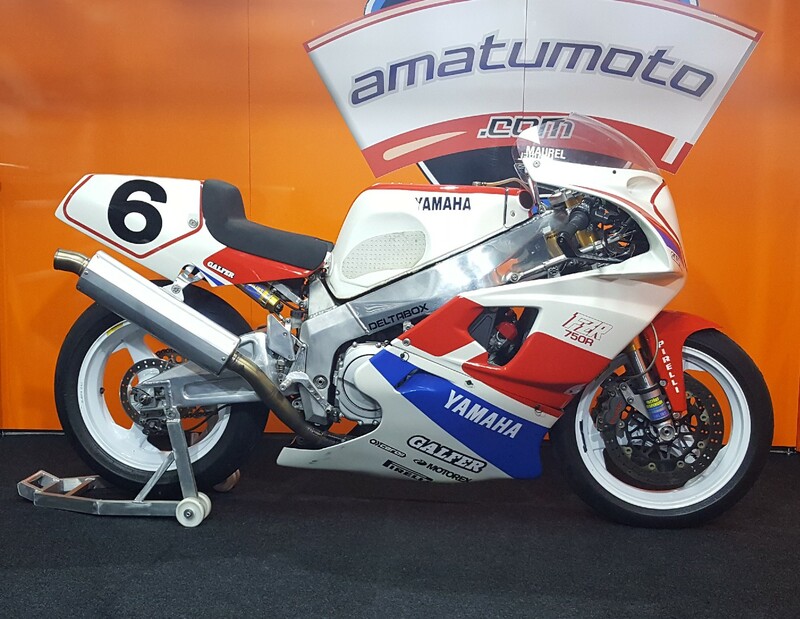 Sponsored Listing: Moto3 Honda NSF250RW for Sale! 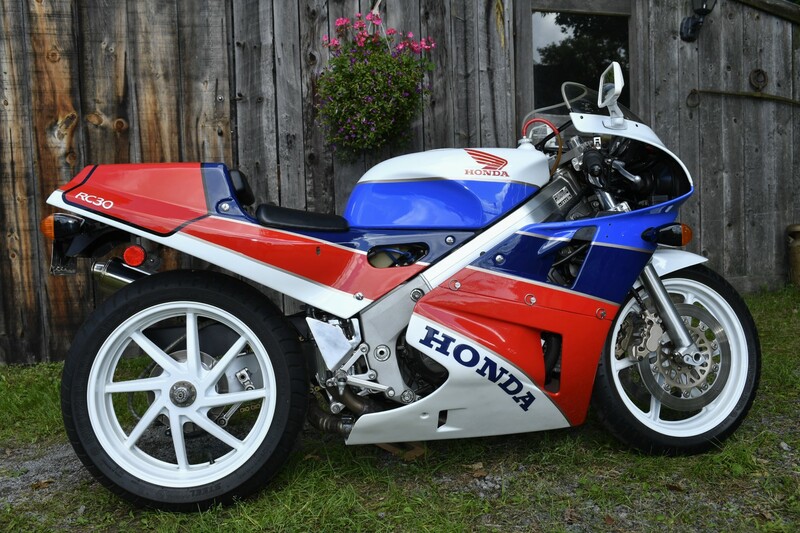 Featured Listing x 2 – 1989 and 1990 Honda VFR400R NC30 ! 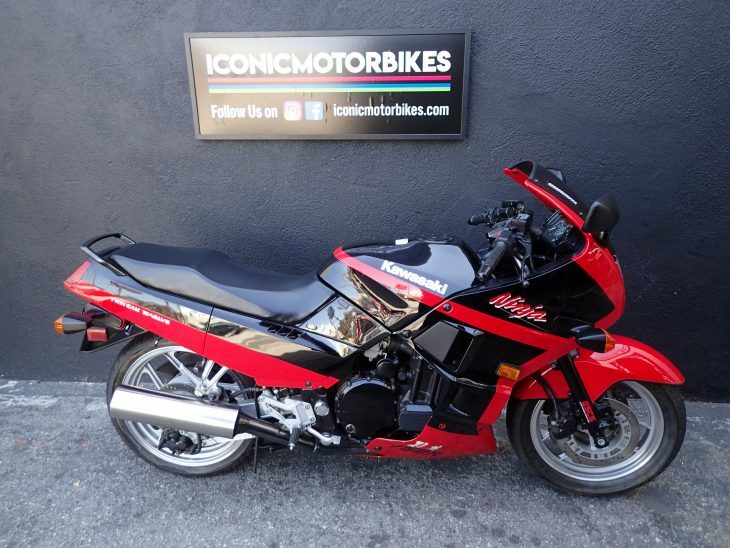 Now Available on the West Coast: 2003 Aprilia RSV1000R Mille Haga #138 with 459 Miles! 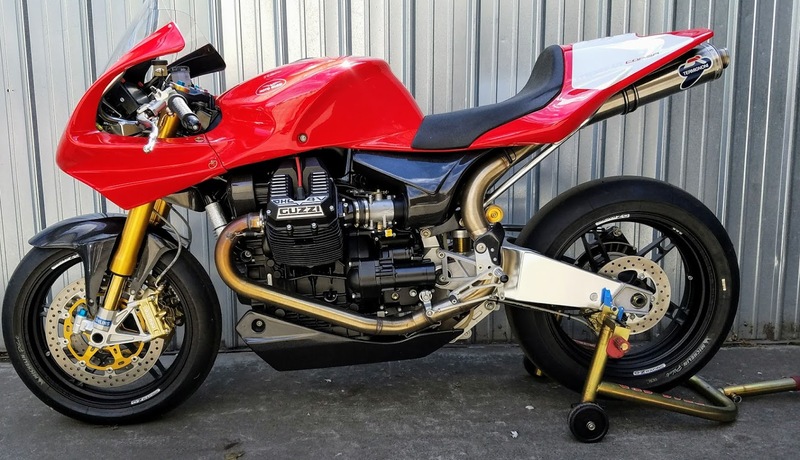 While not everyone agrees on the value that the Haga replicas represent, they keep finding new homes because there is no argument that the RSV1000R Mille is a great superbike with top quality components. 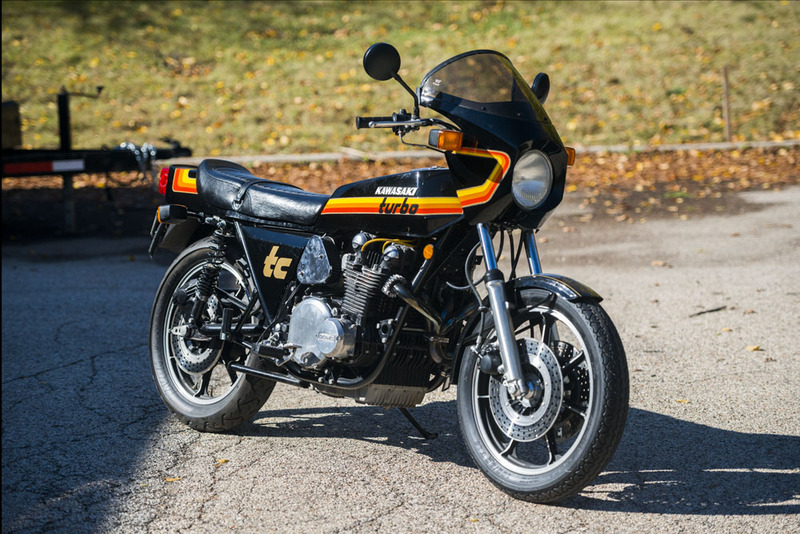 This particular example sold last November and made it's way from Connecticut to Washington. 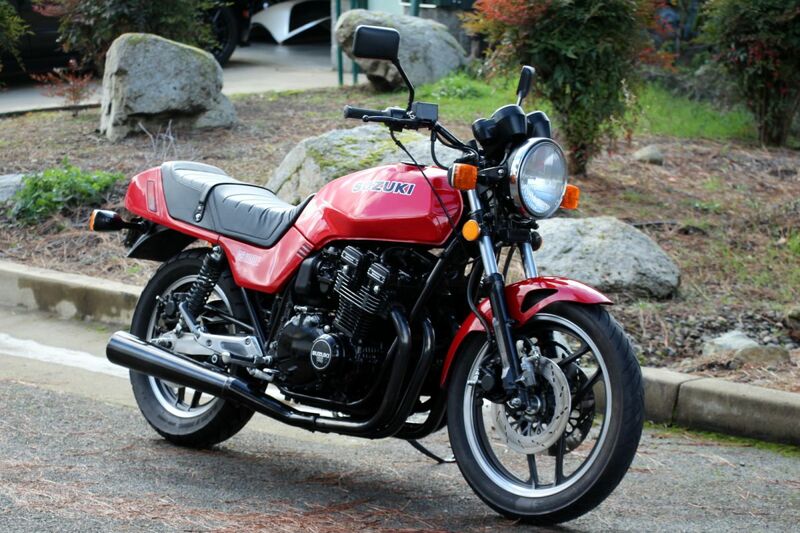 Having covered very few if any miles since, it's back on eBay with a buy-it-now of $10.5k. 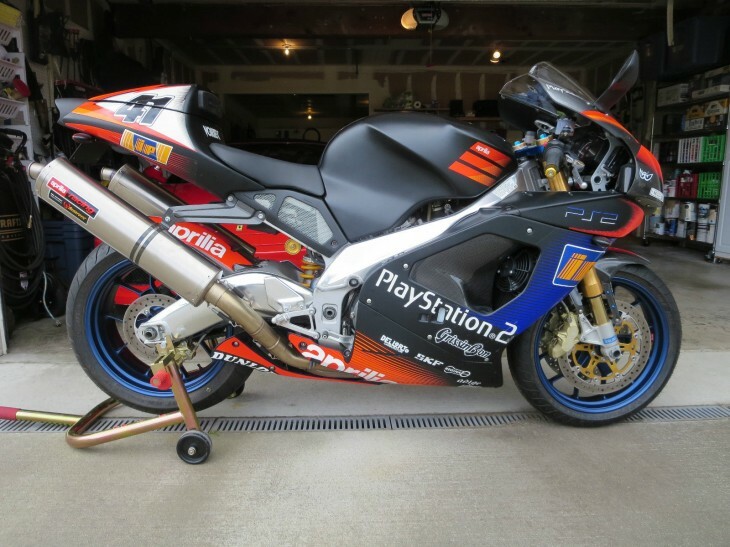 This is a very low mileage 2003 Aprilia RSV Mille R Noriyuki Haga Replica with only 459 miles! 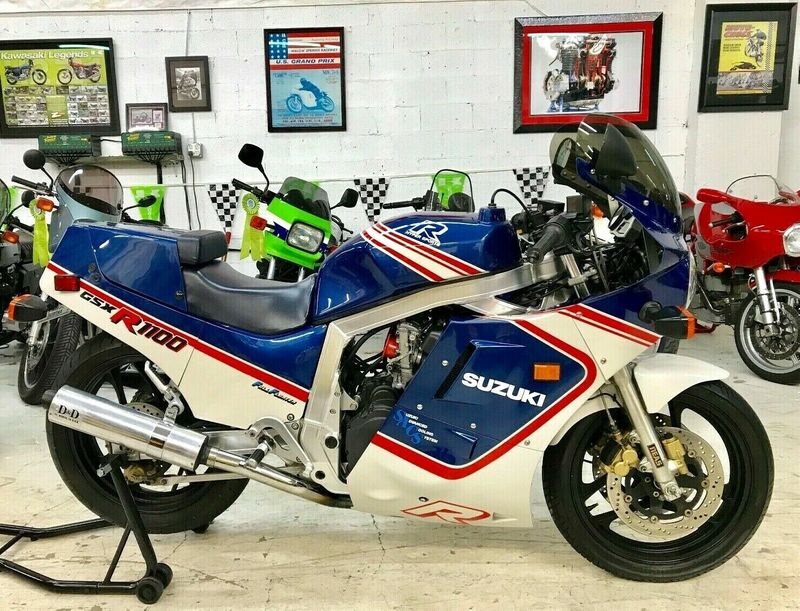 This is a very cool looking bike and extremely rare only 300 ever made and only 60 of those made it to the states this is #138. 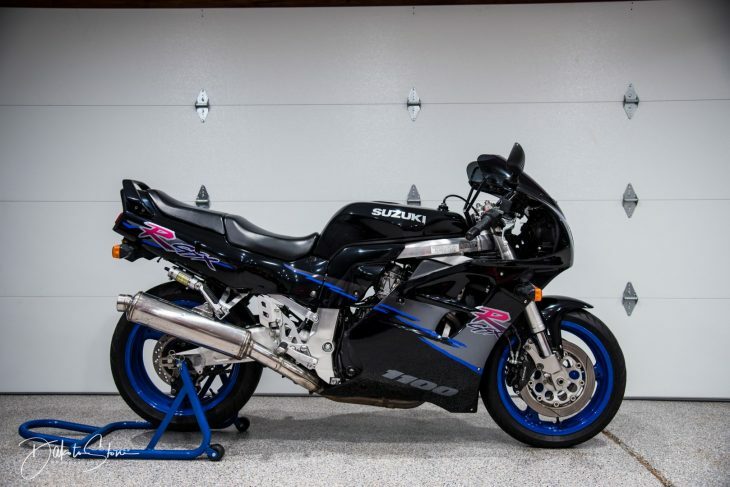 The bike has always been kept in a heated garage. 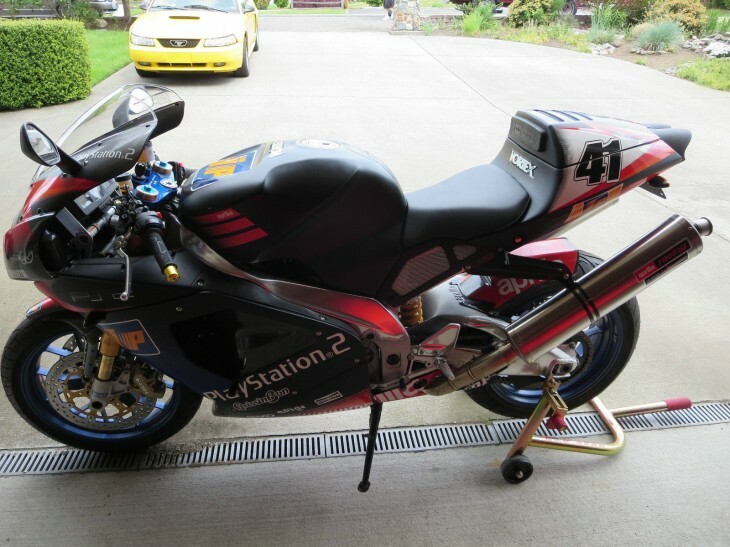 It is in almost perfect condition except for some scratches on the Right hand fairing. 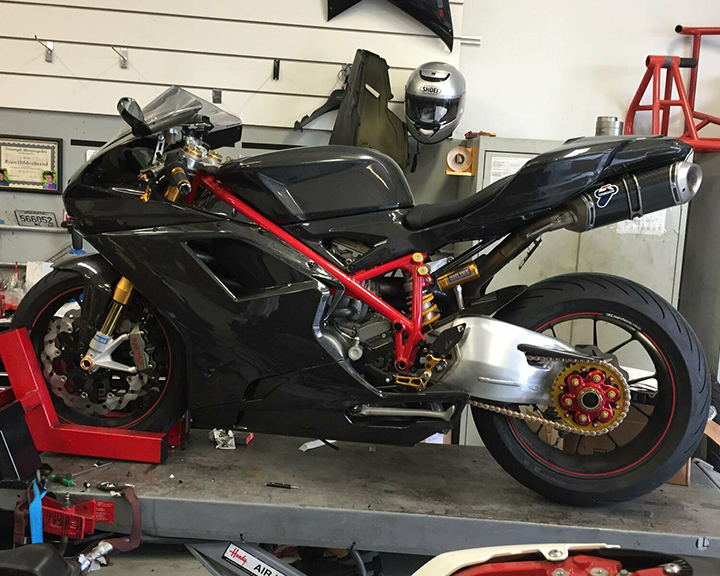 When the bike was bought new it had Carbon Fiber wheels and Michelin Pilot Power tires put on it. 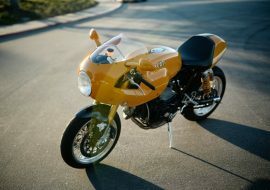 The Factory OZ wheels are back on it and they are brand new as you can see from the nubs on the tires in the pictures. 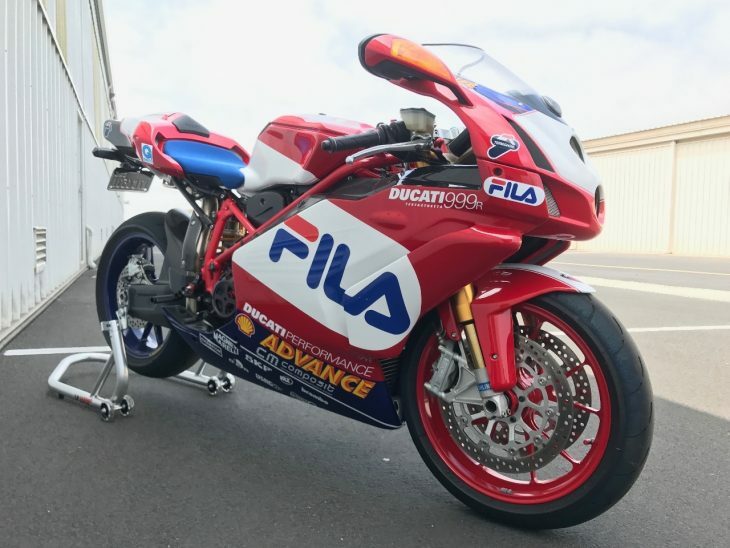 Built on the class-leading RSV 1000 Mille R platform. 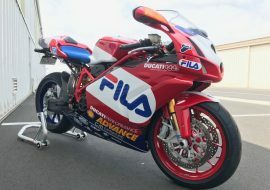 Fairing graphics faithfully duplicated from WSB- Spec RSV 1000 Mille SP Superbike - complete with Haga racing numbers. 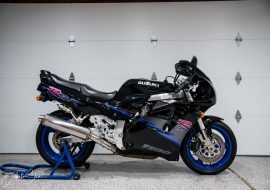 Blue anodized Ergal top triple tree with "Noriyuki Haga" inscribed signature + production identification serial number + inscription "SBK REPLICA RSV 1000 R"
Aprilia Engine Department developed dual-sided Akrapovic TITANIUM exhaust and stainless steel collectors+ EPROM specifically designed for this exhaust system. 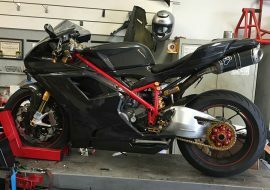 10 hp increase at 6.500 rpm, and a flatter power curve, over 9.000 rpm 6.6lb weight loss with Akrapovic race system. 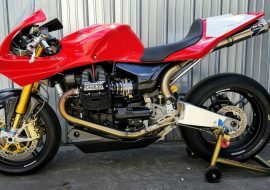 Full Ohlin’s suspension and Ohlin steering damper. 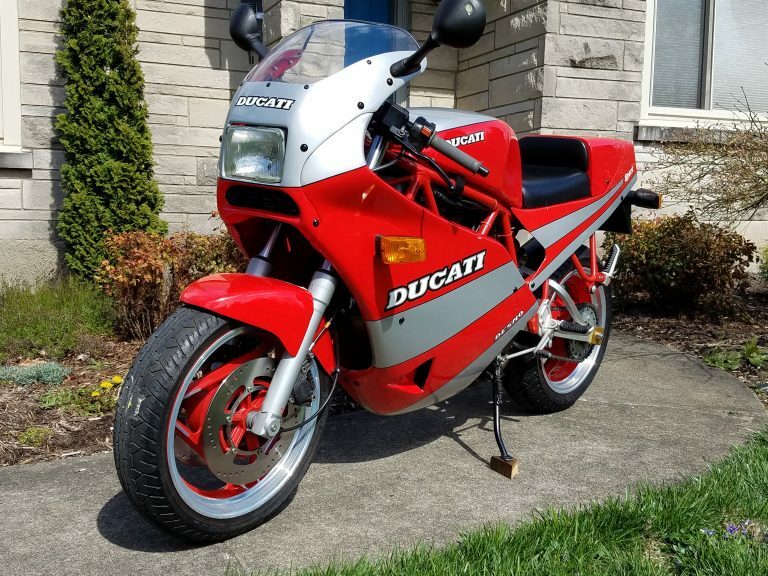 I found it ironic that the previous and current seller both had Ferraris in the background. 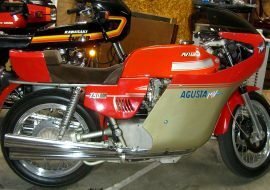 Looks like a mustang to me! 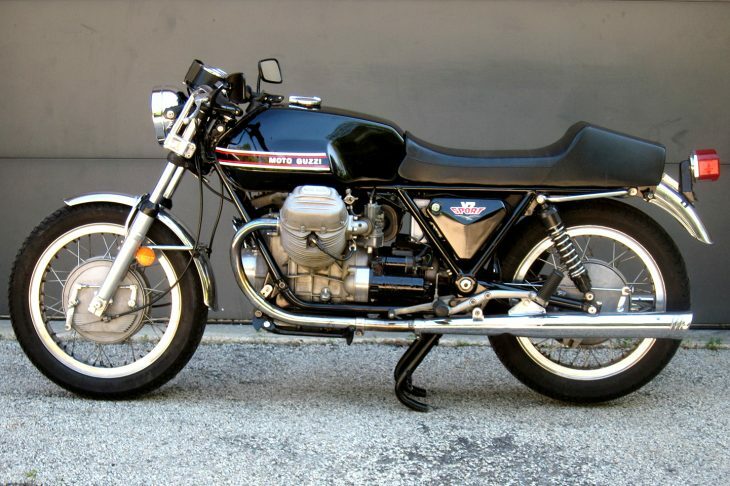 Also, flat black didn’t look good in 2003, manufacturers should doing it in 2015. 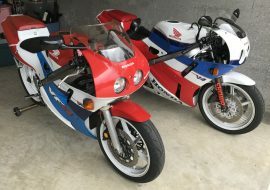 Super cool, no doubt. 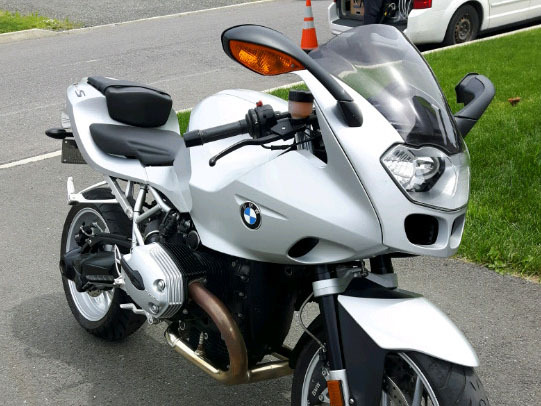 Maybe $7500 on a generous day. 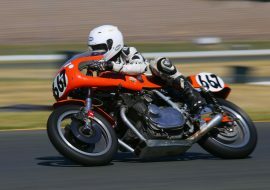 Dan the man, you might know bikes but the only Italian thing I can find in any pics is the “Haga”. 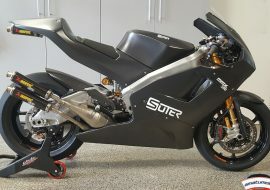 Truly a great bike a bit on the high side but what do you think those carbon OZ wheels run. 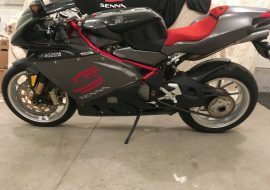 Maybe $5k with tires? 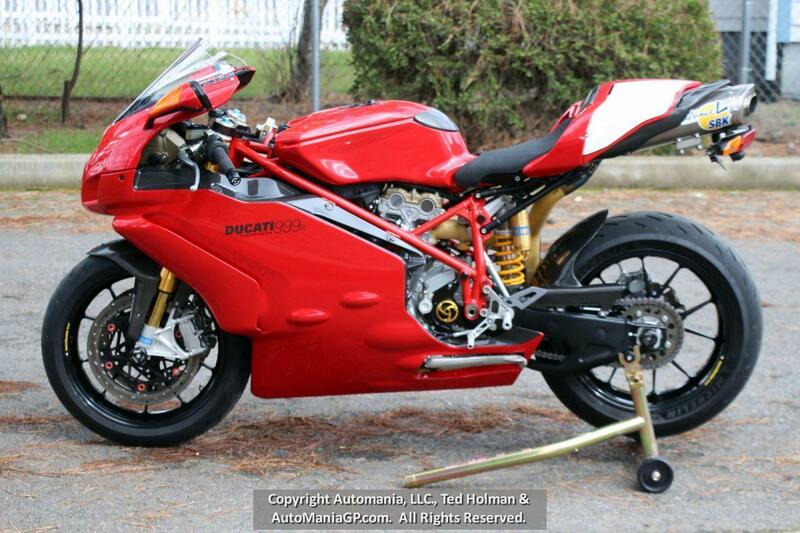 So really your getting a barely broken in Mille for $4500 with carbon body work and lots O Ti parts. I would be all over it if it wasn’t for the war department. 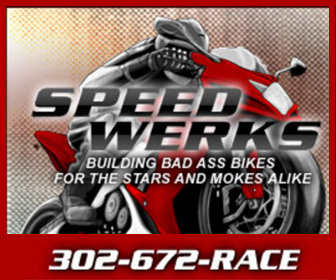 Do You have a special sportbike that should be listed on our site? Sell your bike with a Featured Listing for just $59. 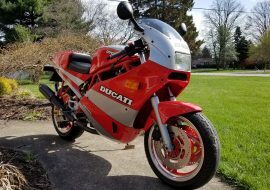 1990 Ducati 750 Sport For Sale $5,750! 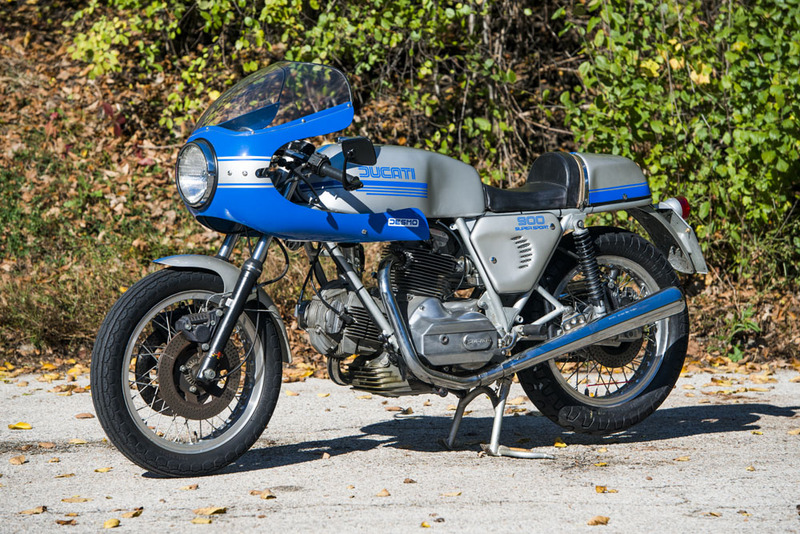 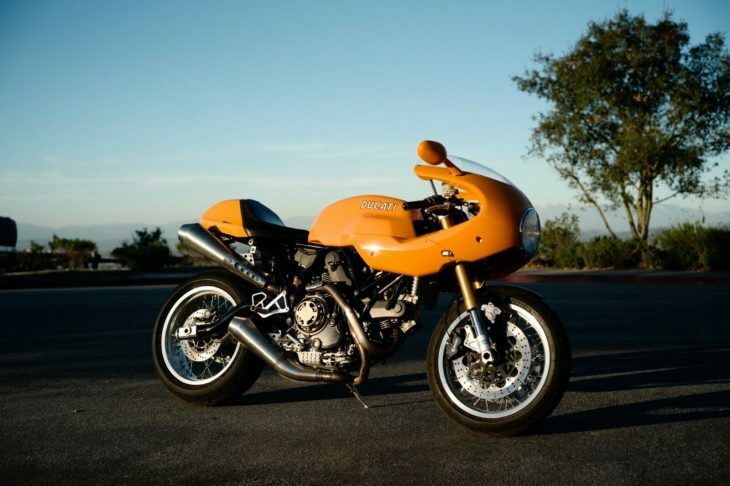 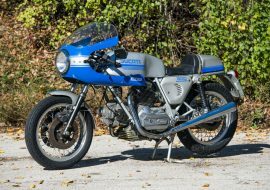 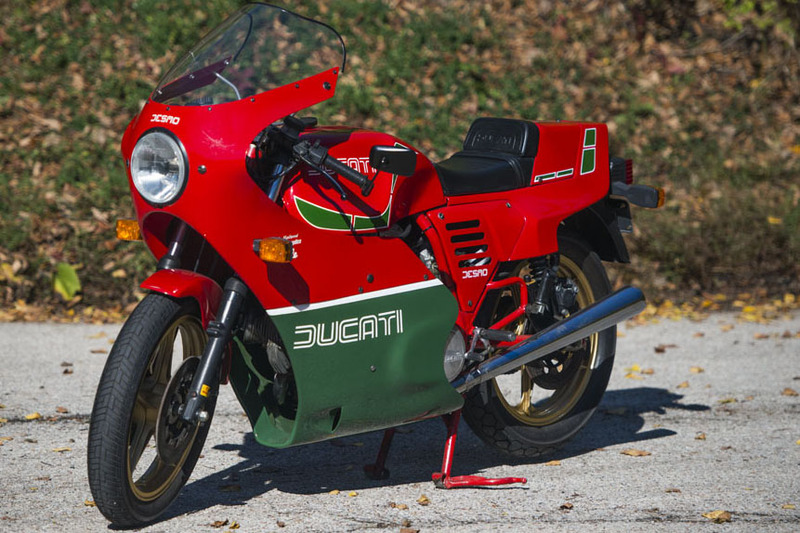 1977 Ducati 900SS For Sale! 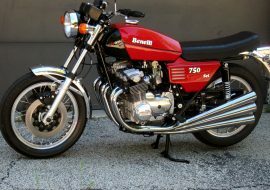 1976 Benelli Sei 750 For Sale! 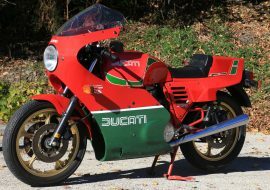 1985 Ducati Mike Hailwood Replica For Sale! 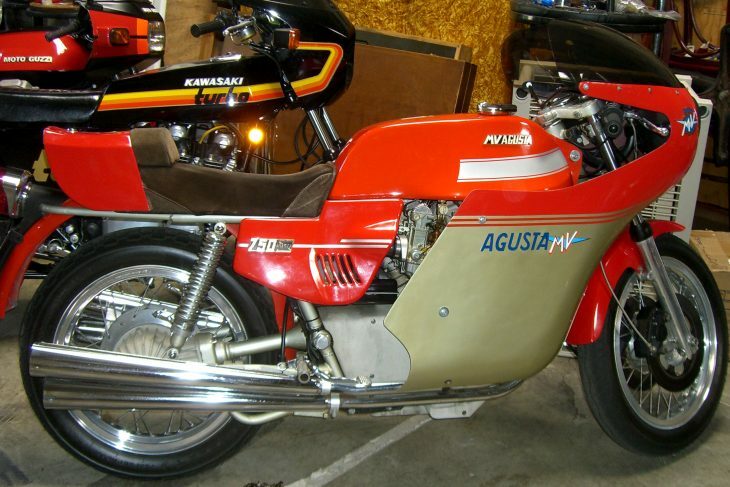 1974 MV Agusta 750 S America For Sale! 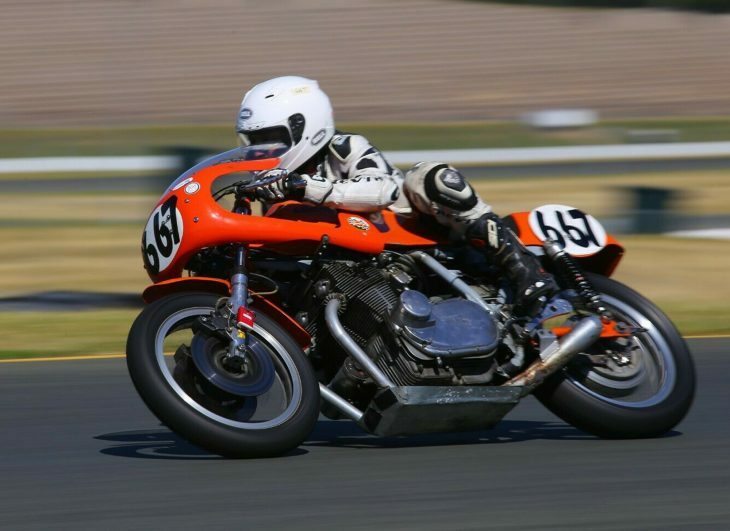 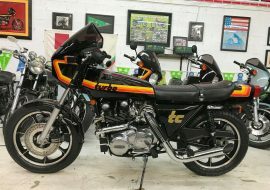 1974 Laverda SFC-Spec SF2 For Sale! 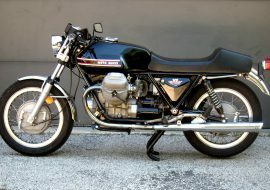 1973 Moto Guzzi V7 Sport For Sale! 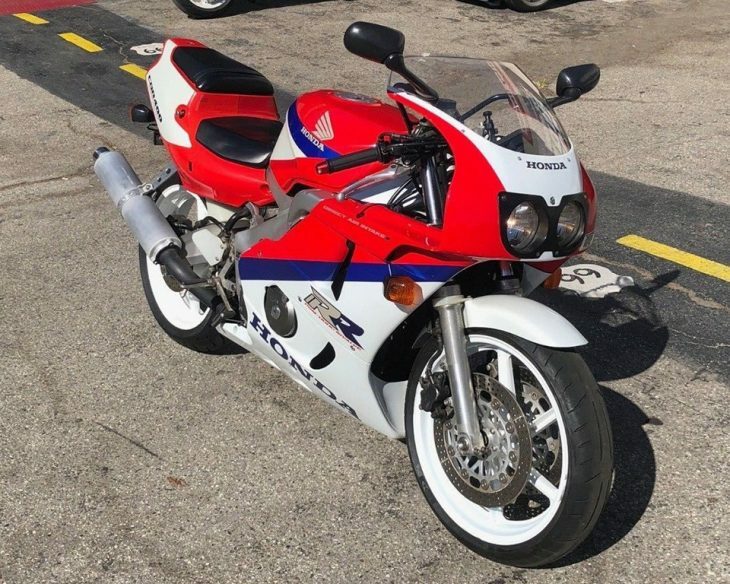 1990 Kawasaki Ninja 750R For Sale! 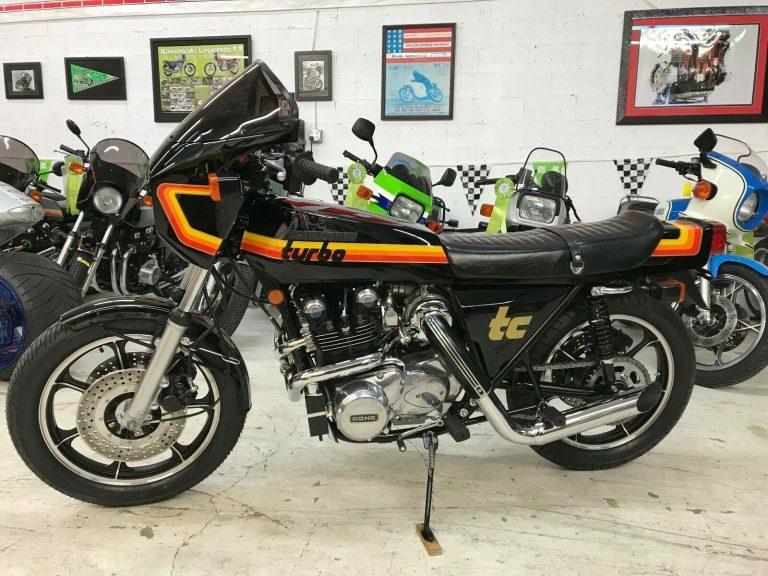 1978 Kawasaki Z1R TC For Sale! 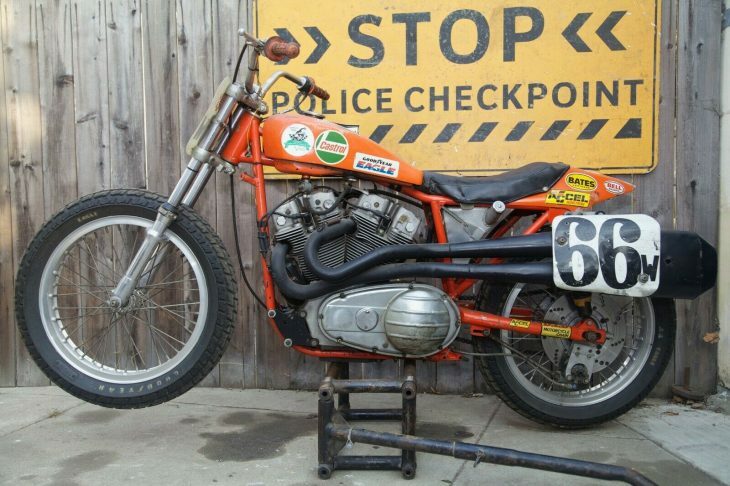 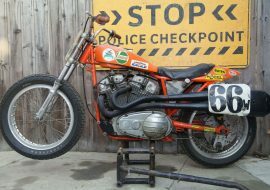 1972 Harley-Davidson XR750 For Sale! 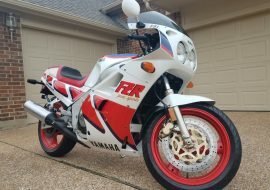 1987 Yamaha FZR1000 For Sale! 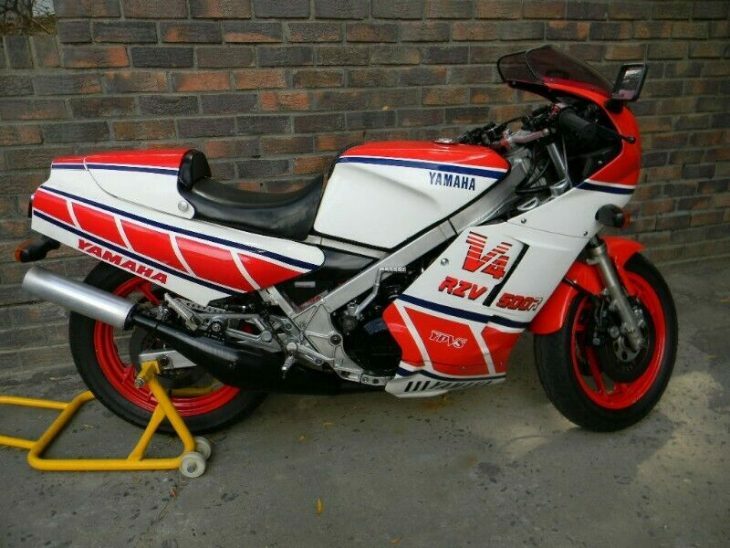 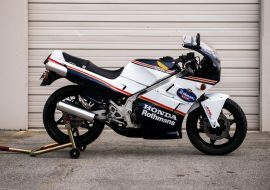 1990 Honda VFR750R RC30 For Sale! 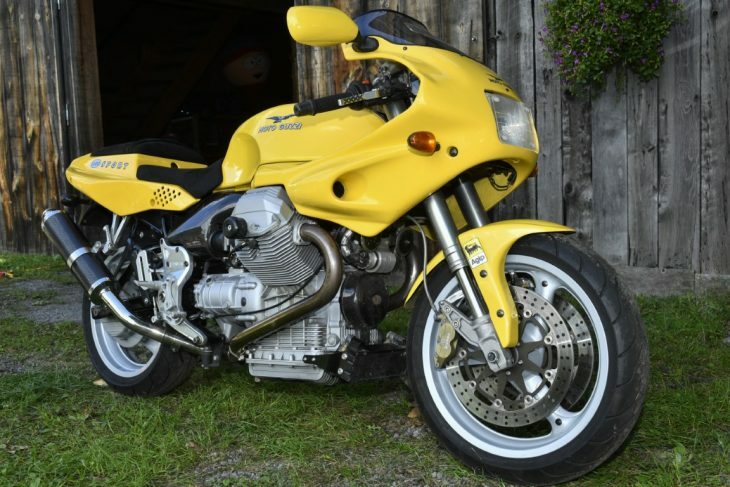 1997 Moto Guzzi 1100 Sport For Sale! 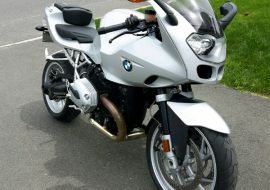 2007 BMW R1200S for Sale! 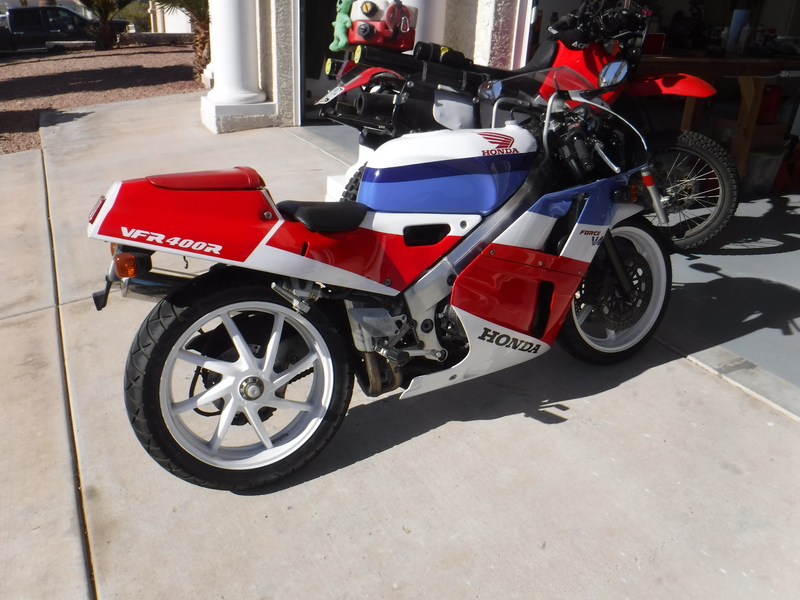 1992 Honda VFR400R NC30 for Sale! 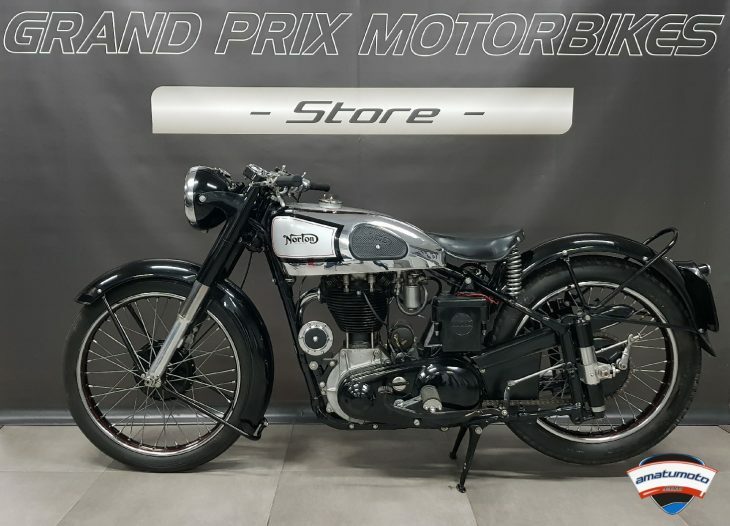 1949 Norton International for Sale! 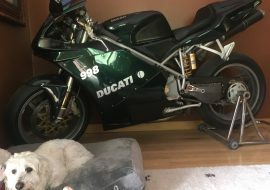 2004 Ducati 998 Matrix Edition for Sale! 1986 Suzuki GSX-R750LE for Sale at IconicMotorbikes! 2007 Ducati 1098S Tricolore for Sale at IconicMotorbikes! 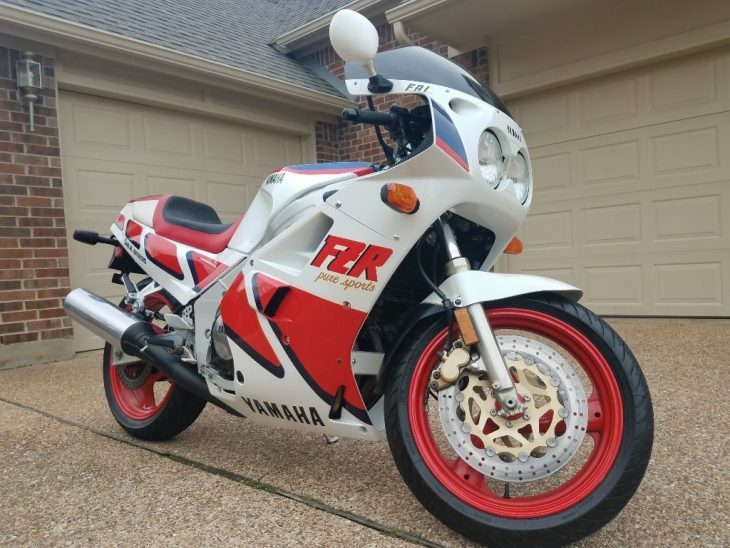 1987 Yamaha FZR1000 with less then 5k Miles! 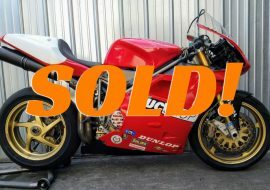 1998 Bimota SB6R for Sale! 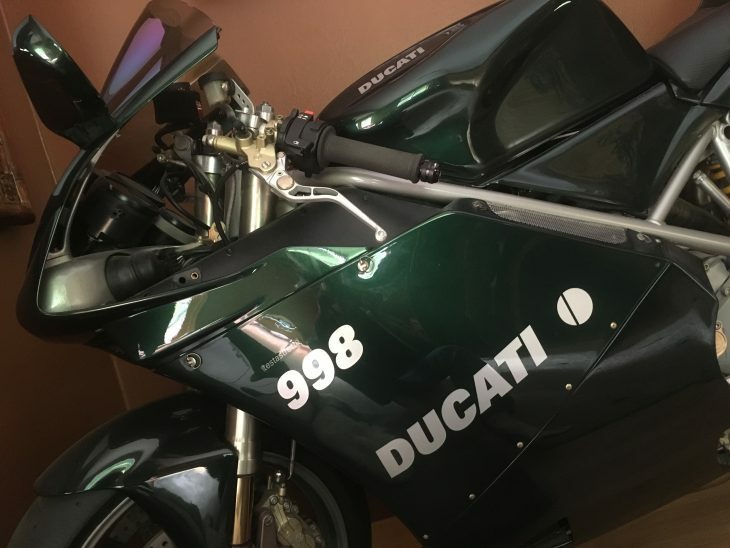 2004 Ducati 998 Matrix Reloaded Edition for Sale! 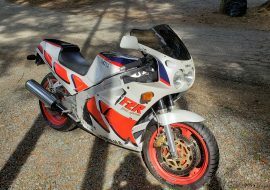 986 Yamaha RZV500R for Sale! 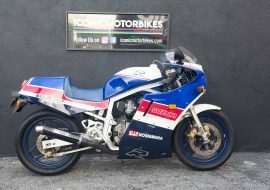 Moto3 Honda NSF250RW for Sale! 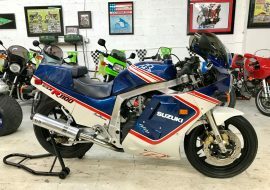 1986 Suzuki GSX-R 1100 for Sale! 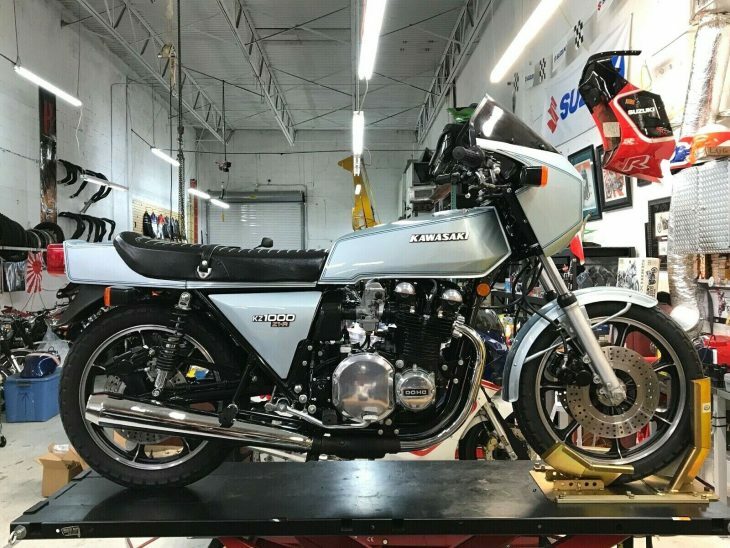 1978 Kawasaki Z1-R for Sale!! 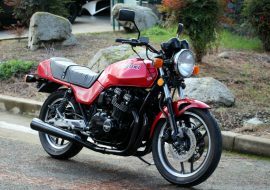 1983 Suzuki GS1100E for Sale!! 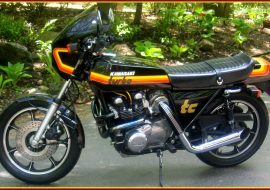 1978 Kawasaki Z1-R TC for Sale!! 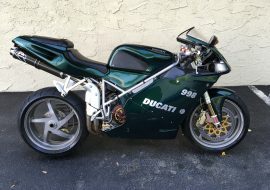 2005 Ducati 999R for Sale!! 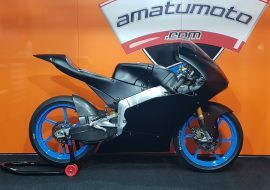 2017 Suter MMX500 for Sale!! 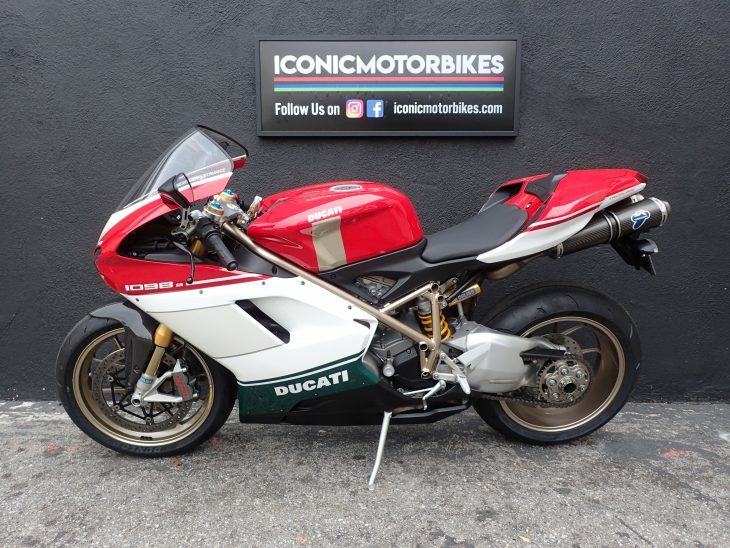 Heavily Upgraded 2008 Ducati 1098S for Sale! 2004 Ducati 999R FILA with less than 2k Miles for Sale! 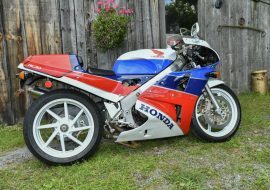 2006 SportClassic 1000 with Paul Smart Fairing for Sale! 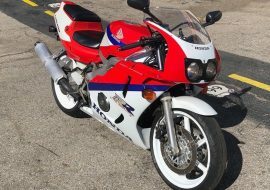 1994 Suzuki GSXR-1100 For Sale! 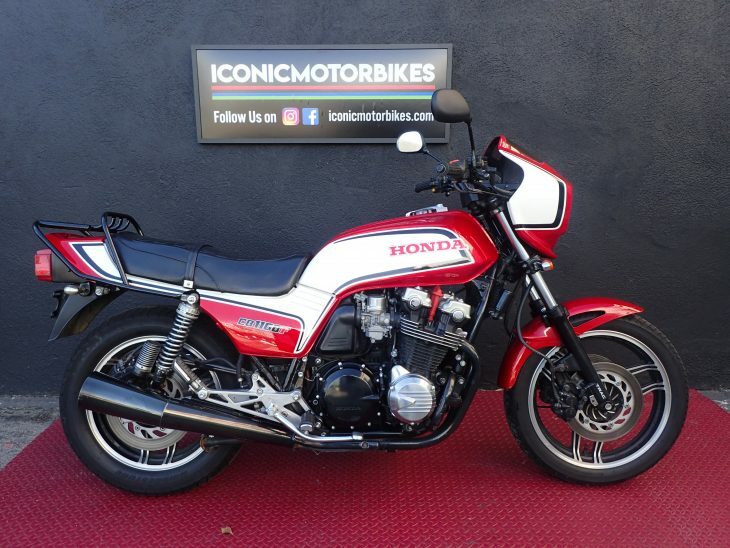 1983 Honda CB1100F for Sale at Iconic Motorbikes! Practically New 2004 Moto Guzzi MGS-01 Corsa! 1990 Yamaha FZR750R OW01 for Sale!! 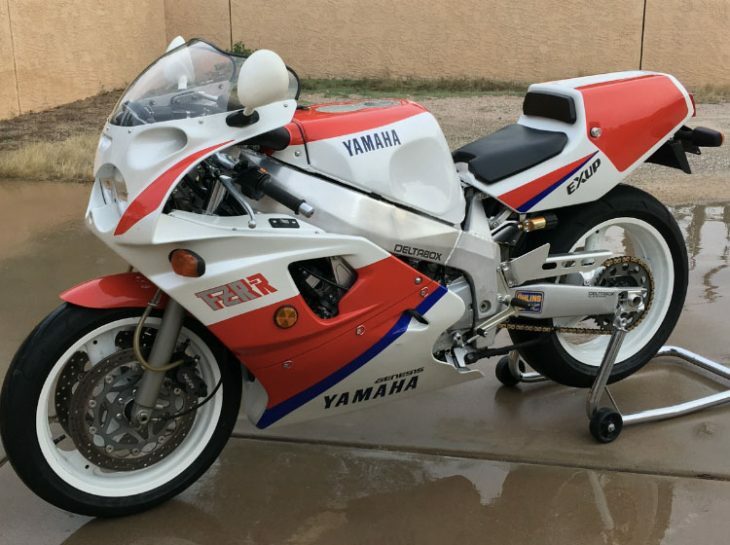 1991 Yamaha OW01 FZR750R Race Bike for Sale! 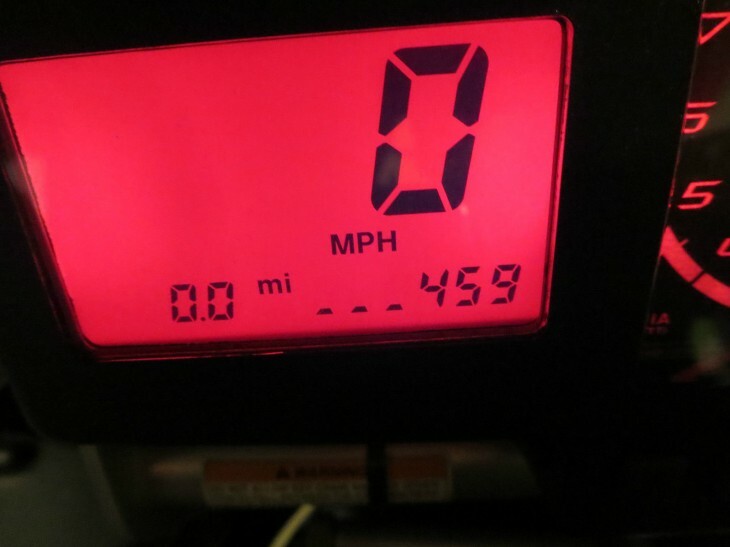 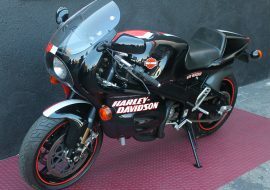 Zero-mile, 1-of-25 road-going 1994 Harley-Davidson VR1000! 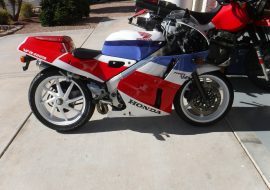 1990 Honda CBR400RR NC29 for Sale! 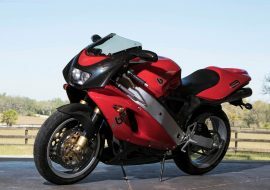 No claims, warranties, or guarantees are implied by www.raresportbikesforsale.com for items displayed at this site or any site referred to from this site. 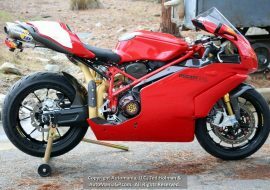 Pricing, availability, and circumstances pertaining to displayed materials are the sole liability of the individual seller. www.raresportbikesforsale.com claims no accuracy to advertisements made herein. 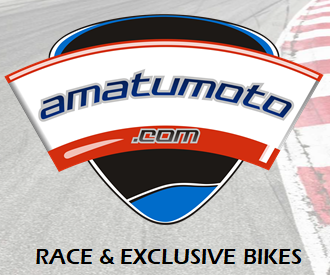 E-Commerce Content is independent of editorial content and we may receive compensation in connection with your purchase of products via links on this page.